I always hope that I have a green thumb whenever I planted bulbs, seeds or even transferred the plant to its new pot/container. I don’t want them to die and ensure they will grow as I wanted them to be. Moving to a new house has a lot of things you need to update. This year, I planned on working with the siding of the house. I meant, a side-house landscaping, that’s what I called it. I went online on Pinterest and seen that Miracle-Gro has so many ideas and layouts. I pinned them on my board for I desire the ideas they have on their boards plus it will give me the exact idea for my side-house landscaping. It’s nice to have so many resources online; it gave me options to see what goes better for our yard. Miracle-Gro has so many ways; they even have forums where you can exchange messages with other members who are willing to help those who seek for advice. The Gro Project seems to be a very fun venture. Anyways, I cleaned the area where it’s all rocks and weeds. I need to clear the spot where I could plant the Calla Lily flowers we pick. The plot needs to be shoveled for it hasn’t been cleaned and maintain for the last 50 years. It took me at least a half day to finish the half side of the house. I situated the bulbs with three inches apart from each other. 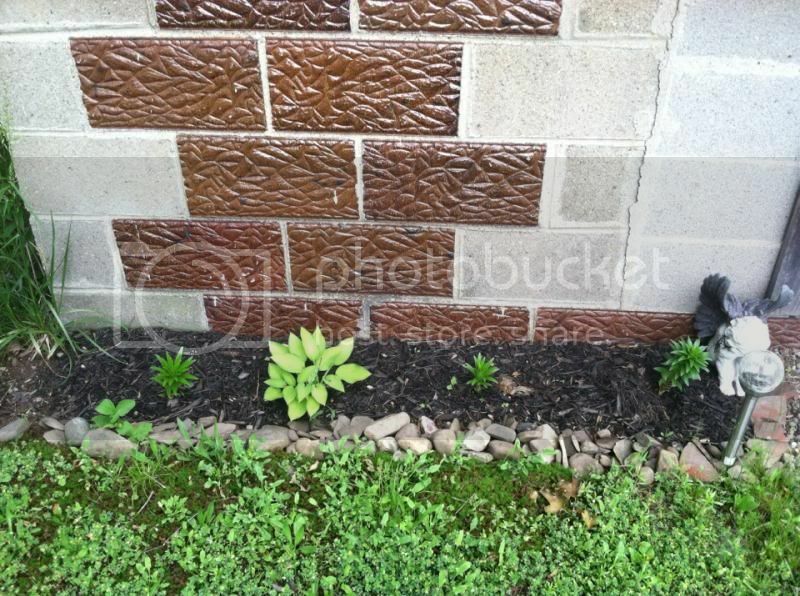 I also applied the rocks found by the sides to make it as the guide and then, applied mulch to beautify the landscape. Oh, I never forget mixing Miracle-Gro too, my plants need them. It is very amusing to have this fun garden projects with your family. It will acquaint us even more. I get to push myself to work outside and at the same time, I get to let me son assist me with the yard work. This way, we could spend more moments jointly while working outside the house. I use Pinterest too to find many ideas on decorating the house/rooms. There are so many great options and a lot are inexpensive. Congratulations on your new home and a new plan about landscaping! I love pinterest too, it gave more ideas than just searching about it online. My front garden bed is looking pretty heinous right now with the weeds that started growing. I am currently working on re-doing our flower beds. They are so bare. Miracle Gro is my friend when it comes to plants. I love the idea that you are planting flowers on the side of your house mommy. Good job! What did we do before social media networks? I love the ideas that I find and the assistance I can get for home improvement projects. I love lillies! I can't wait to see the pictures after they bloom. I have heard great things about miracle grow. I am obsessed with Miracle-Gro's Pinterest board. They have so many fun and easy gardening projects and ideas that I want to try. I have some lilies in my front garden and I love it when it blooms. Congratulations on the new house and good luck on your project. I have been busy in my garden too and things are blooming. It looks so beautiful~ I love Gardening and we use Miracle Gro too. landscaping looks awesome, miracle grow is great!! I really need to do some landscaping of my yard. I garden which takes up a lot of time so no time for it right now. Miracle Gro is a big help for me. My flowers are finally coming up. Next year I am going to try Miracle Gro. You are wise to go to others for advise on how to landscape near the side of your house--Miracle Gro has always been a great product and I'm sure they give great suggestions. Of course you have to know what will grow in your neck of the woods!! When I do mine enxt year I will be using miracle grow. My parents used it all the time and loved it. Gardening is ALWAYS fun to do with your kids, I know I always do. We always use miracle gro when gardening and I can see a difference in our plants using it. looks like your plants are doing great mommy Novz. just keep watering especially on sunny days. It's great to be able to enjoy the blooms of what you planted, my flowers are now in full bloom. Completely off topic but I love your bricks! How I wish I have a house with a yard, I would love to surround our house with greenery.